Ida Fink. née Landau, was born to a Jewish family in Zbaraż, Poland (present-day Zbarazh, Ukraine). Her father Ludwig Landau was a physician and her mother Fannie Stein was a teacher. The family was cultured and spoke both Polish and German at home. Ida studied music at the Lwów (Lviv) Conservatory before the Nazi Occupation of her homeland in World War II. She spent 1941-1942 confined in the Zbaraż ghetto, before escaping with her younger sister Elsa with the help of false identification papers. In 1948, she married Bruno (Bronek) Fink, a survivor of four concentration camps, with whom she had a daughter. For a number of years, they lived in Poland, but moved to Israel in 1957. Ida worked as a music librarian and began writing stories about her experiences. Her first collection, A Scrap of Time and Other Stories, was published in Polish in 1983, followed in 1989 by the English translation. Her novel The Journey (1990) appeared in English translation in 1992, and a film adaptation was produced for German television in 2002. Her book Traces, containing stories and short plays, was published in 1997. Her writing has garnered many international awards. A 2007 documentary about her life, entitled The Garden that Floated Away after one of her stories, was produced by Israeli filmmaker Ruth Walk. 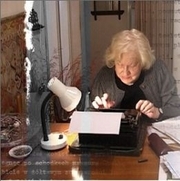 Ida Fink is currently considered a "single author." If one or more works are by a distinct, homonymous authors, go ahead and split the author. Ida Fink is composed of 1 name.